If you are one of those casino players who has the belief that nothing can replace the experience of going to an actual casino hearing the chatter noise and heated seats, then this is the online game for you. Diamond Wild is designed in a manner of a classic slot style. Everything from symbols to its layout is traditional and easily recognizable. Even the sound of the casino in the background, the smooth mechanical clicking of the wheels as they turn everything screams authenticity. But, don't think that this game is all old and traditional as the icons in the rolling wheels. The iSoftbet powered video machine called Diamond Wild does a great job combining the old with the new. The cherry, single, double and triple BAR, are a few old-school icons featured here, but the experience is elevated to the next level by many extras hidden within. 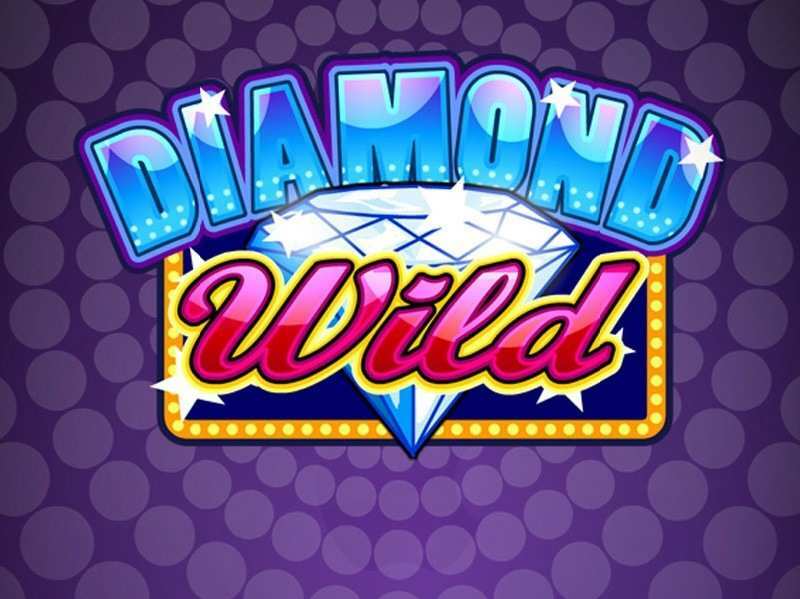 Just follow the diamond icon, and it will take you trough the features of the Diamond Wild online slot machine. There are free spins, Wilds, and not three or four, but five different progressive Jackpots. All the features are following the theme of the pokey, even the control buttons each have its designated bright color. The Diamond Wild casino slot machine is one of the best 5 Reels Slots with a three-row formation machine, with up to 20 paylines at your disposal. They are adjustable so you can play one, five, ten, fifteen, or all twenty of them. Before the very start, you can also adjust the coin value the line wager amount, combine that with the lines chosen, and set up your total risk on every turn. The rules are clear and straightforward – to get start earning some cash here, you’ll need to get at least three of the same consequential logos from left to right-hand side on an active line. The Diamond Wild is the most valuable icon that you can encounter. It pays up to 2,500 coins if you land it in all five reels in one go. As this is also the wild, it will stand for any other symbol in the game, except the scatter, thus helping you connect the winning line and get paid. The next important number here is the red seven as that is the second highest in value. It pays 1000 coins for a solid chain. It is followed by a dollar sign at 500 coins for five connected and the triple bar with 200 coin value given that you covered the screen with it and is the last one giving you over 100 for all five. Find at least three scatters and the bonus feature will start. The more scatters appear, the better the bonus. What you get is up to eight free rolls with a 2x multiplier, so everything won is worth double during this period. The real value of the jackpot reveals when landing nine or even more diamonds. This, accompanied with other progressive wins, is a pretty sweet deal. To increase the odds of gaining the highest price, increase your bet to the highest level. Besides Diamond Wild slots, players can look for other choices in the „No Download Slots“ category and play for real money. Some popular examples are Cleopatra Treasure and Viking Quest. 0 responses to "Diamond Wild Slot"